Extended info about your network connections. Is there a better alternative to Connection? Is Connection really the best app in Network category? Will Connection work good on macOS 10.13.4? 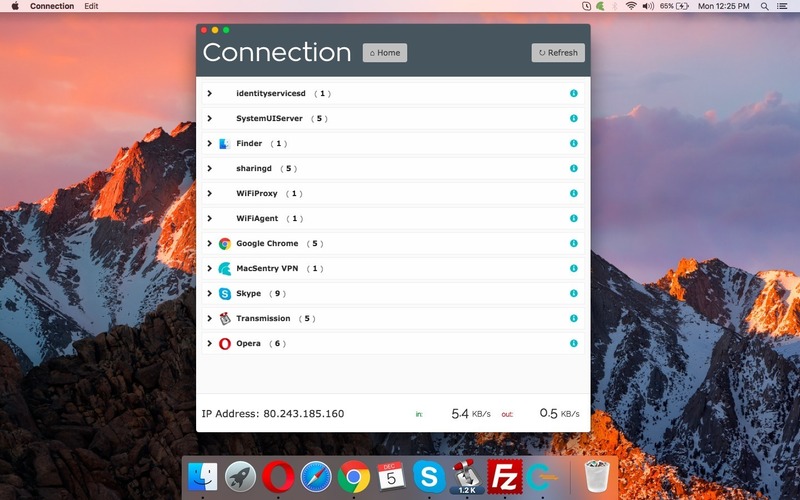 Connection is a simple and intuitive network monitoring utility for OS X/macOS. It allows you to easily identify what processes running on your computer are connecting to the internet, where they are connecting, as well as providing more info about to whom they are connecting. Connection needs a rating. Be the first to rate this app and get the discussion started!